Fun Family Things to do over Easter! London are creating many wonderful events for this wonderful weekend that are great for all the family, luckily it’s only a train ride away! There is an amazing chocolate tour around London for the ultimate chocolate lovers. This three hour tour through Mayfair lets you learn about the history behind chocolate, how it’s produced and traded. Plus you get the pleasure of sampling different chocolates, truffles macaroons along the way- all family favourites. The walk however is only suitable for children age 13+, so not the best family day out if you have younger children, and booking in advance is important. On Friday 25th March, The Roof Gardens in Kensington are holding an Easter Hunt for Adults! This will be taking place 100ft above London where adults will be challenged to find hidden treats among three different themed gardens. Alongside this, make sure you keep an eye out for their Roof Garden’s Ducks accompanied by some Easter tags and be in with a chance to win some special prizes. Over the next couple of days (25th March – 28th March) there is an Easter egg hunt taking place at Lee Valley Park Farms. This Easter egg hunt is brilliant for all ages. Take time to walk around the farm and meet many different farm animals along your way to finding your Easter eggs. Get the chance to meet new arrivals on the farm and not forgetting the possibility to meet the Easter bunny! Also, make a trip on Tex the Tractor to their working dairy farm and let the kids run around in their in and outdoor areas. Of course these are only a few attractions happening over the weekend, but if you love exploring London these will sure make your four day weekend a real treat. Maternity Nurses- Why, What, Where and When? Having a child is such an incredible experience that many families look forward too. However having a child can be tiring, stressful and sometimes difficult to deal with when living a busy day-to-day life. This is where the help of a Maternity Nurse comes in great use. Unlike a ‘normal’ nanny that many families have when their child is older and parents are planning on going back to work, the Maternity Nurse is with you from when your baby is first born. Their focus is on the newborn baby and carrying out all duties relating to the care of the mother and baby in the first few weeks after birth. Why hire a Maternity Nurse? Maternity Nurses are beneficial to many families because they assist in establishing a routine within the home environment (which is very helpful to new families as adjusting to a new life can be quite stressful and tiring). Day-to-day tasks are helped by the Maternity Nurse, for example: baby’s laundry, tidying the baby’s room and sterilising and making up the baby’s bottles. As well as this, they help teach the importance of safety and hygiene around the baby, which perhaps not all pre and post natal classes explain fully. Becoming a new mother or becoming a mother for the second or third time can be difficult as every pregnancy and birth is different. This means that support is always needed and one of the pros of having a Maternity Nurse is that they help with postnatal care and they also encourage and support with breast feeding as it is so beneficial for mother and baby. Some mother’s find breastfeeding more difficult than others and need as much as support as possible that perhaps their partner can’t always easily fulfill. When living a busy life and being a working mum sleep is also very important to be able to function properly and therefore the live-in Maternity Nurse assists with setting up sleeping patterns and caring for your baby throughout the night so you are able to get your full 8 hours of sleep a night. Overall there are many positives for having a Maternity Nurse, and as working mothers are becoming more common within the 21st Century, having a Maternity Nurse means that you can experience motherhood with ease whilst enjoying being a successful business person. Help Philippa win the Day! Philippa Day, proud owner of Harmony at Home Berkshire, needs your vote! After a blistering start to her new career, as a childcare entrepreneur, Philippa has just been nominated for the prestigious working mums’ Franchisee of the Year Award for 2016. So please give Philippa your support by voting for her now Vote for Philippa! As a shining example to us all, Philippa has worked tirelessly over the the past 12 months to build up her business—providing the highest quality childcare throughout Berkshire. As a working mum, Philippa completely understands the demands of busy working parents and provides a customer service that is second to none. With passion, energy and commitment, coupled with a long and distinguished career in childcare, Philippa was the perfect candidate for the Berkshire Harmony at Home Franchise. After qualifying as a Chiltern Nanny in 1994, Philippa spent two decades building a reputation as a world-class nanny. In 2012, when her own children started school, Philippa decided to become her own boss. After considerable research on the subject, she purchased the Berkshire Division of the International Nanny Agency Harmony at home in 2014—and she hasn’t looked back since! Recovering her initial investment within four months, Philippa now has a turnover that exceeds all expectations. To learn more about Philippa’s journey, please watch her video on You Tube. 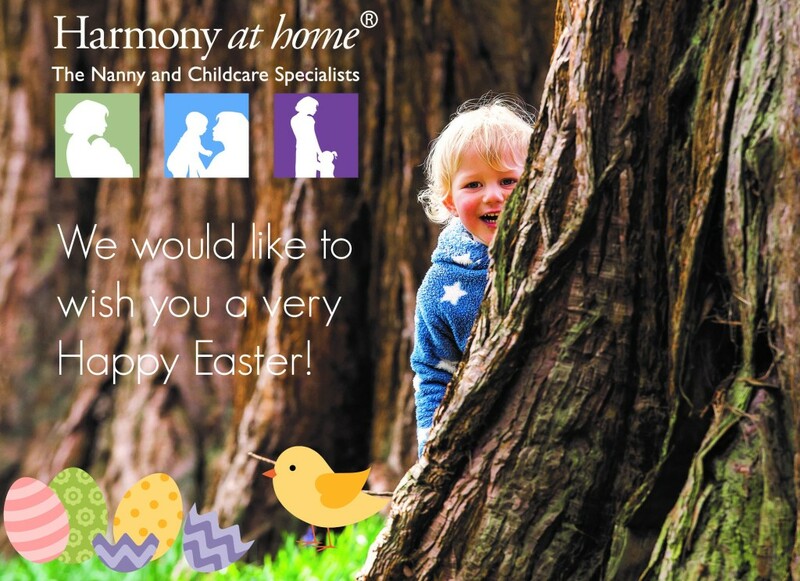 For further information on owning your own franchise, please see the Harmony at Home Website. Voting ends on the 15th of April, so please don’t delay! The introduction of ‘Tax Free’ childcare in 2017, will provide a big push towards Ofsted registration among nannies. This is because only Ofsted-registered nannies will qualify for employment through the Tax Free childcare scheme. As a result, more nannies than ever will be subject to regular Ofsted inspection; either directly by Ofsted themselves, or by a company called Tribal. For some nannies, the idea of inspection may cause a great deal of anxiety. But, provided that nannies are working within the EYFS framework in England, and meet the requirements of the Childcare Register, they have nothing to fear. Here is a brief summary of the main things that all nannies are recommended to do, by way of preparation. Health and safety is a major area of concern for inspectors. Therefore, it is important to ensure that all risks and potential hazards are minimised as much as possible, particularly in children’s play areas. This requires the sensible use of safety precautions, such as child stair gates, cupboard locks, socket protectors etc. Child Welfare and Safeguarding are top priorities for inspectors. So be prepared to answer a few questions. These could be either factual or hypothetical in nature. For a factual example, you might be asked: can you give examples of different types of abuse? For a hypothetical example, you might be asked: what would you do if a child went into anaphylactic shock? It is therefore important to be well informed. In contrast to school and nursery inspections, which are graded according to a recognised scale, home-based inspections are either passed to failed. This might sound a little scary, but the whole process is usually much less stressful than you might imagine. So, be prepared and don’t panic! Childcare in the UK is too expensive and frequently unavailable to those who need it most. These are the main conclusions of a newly-published report, by the Family and Childcare Trust, on the cost and availability of childcare in the UK. This detailed annual report is based on survey data collected from Family Information Centres thought the country. provision for 5-11 year olds. The poor provision for disabled children was also highlighted, with only 15% of English authorities meeting demands. For the first time in seven years, the average increase in the cost of childcare stayed largely in line with inflation. Nevertheless, childcare is still expensive and unaffordable for many parents, particularly those on the lowest incomes. According to the report, future increases in childcare costs are likely to rise above inflation, as the industry adjusts to new changes. For example, the introduction of the National Living Wage for childcare workers, as well as pension auto-enrolment, are likely to push up costs. The high cost and inadequate provision of childcare remain significant factors preventing the parents of pre-school children returning to work. A lack of after school care also pushes many parents of school-aged children into low paid, part time employment. The report concludes that a complete and comprehensive reform of the childcare sector is necessary in order to make it fit for purpose. To read the full report, from the Family and Childcare Trust, please use the following link: 2016 Childcare Survey.